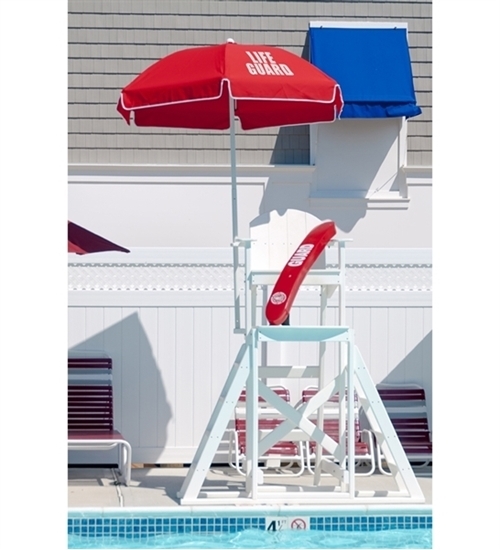 This 6.5 foot printed lifeguard umbrella features 5.0 mm chrome plated steel ribs, stainless steel joints and rivets, and 1 3/8" diameter aluminum pole. 9 oz. acrylic fabric top with triple stitched pockets. Printed with "LIFEGUARD" in classic red or blue colors. Give us a call to get a company name or logo on this umbrella for a hotel or resort pool.